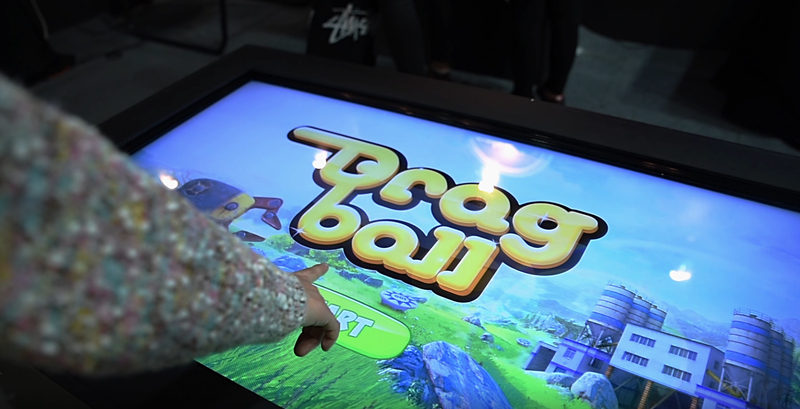 Dragball is an Angrybird, Pinball and Golf inspired game for multitouch tables which incorporates real objects in the gameplay. 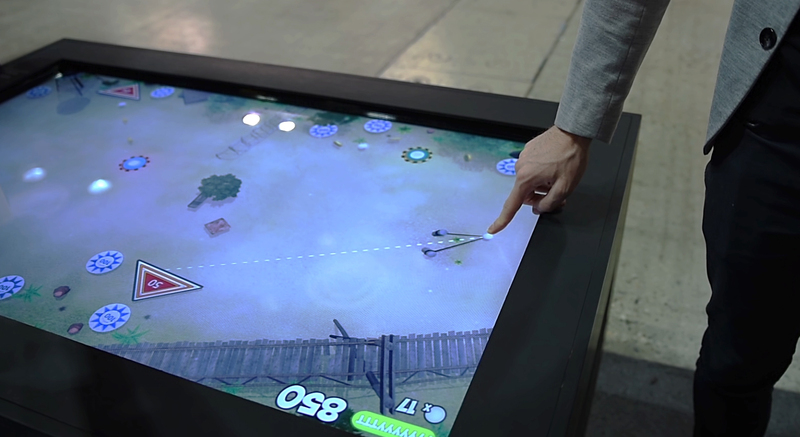 With help of real objects, designed especially for the game, the player must land the balls in the targets to complete the Saltcake logo. 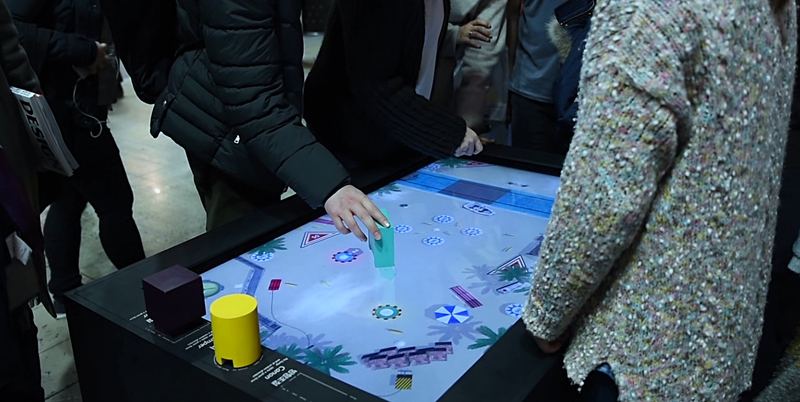 Each of the objects has a different function (bumper, kicker and canon) to help the player complete the mission.